Right now, new Porsche of Albuquerque service customers will save 15% on their first service repair order. Print this coupon and bring it with you at time of service. Offer expires 4/30/19. Contact Nile Reneker for details: 505-821-4000 or nreneker@porscheabq.com. Not combinable with other offers. Limit 1 per customer. 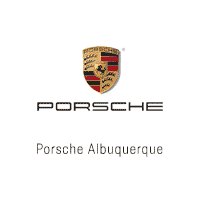 Offer good only for new Porsche of Albuquerque service customers. Discount is off dealer prices. Excludes taxes. Not redeemable for advertised specials, previous purchases or cash. Expires 4/30/19. Save 10% off a Porsche oil change during the month of April. Print this coupon and bring it with you at the time of your service write-up. Not combinable with other offers. Limit 1 per customer. Offer good only at Porsche of Albuquerque. Expires 4/30/19.